Everything you need to know about your new N1 camera! 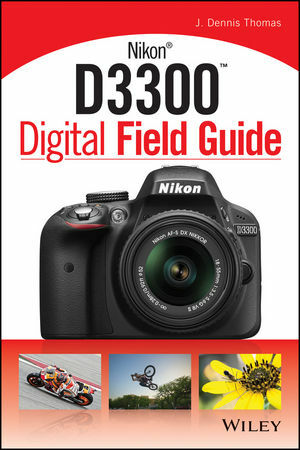 Portable and full color, this guide is packed with everything you want and need to know in order to take amazing photos using your new Nikon Camera N1. Veteran author J. Dennis Thomas walks you through the essential controls, features, and functions of the N1 using step-by-step instructions and providing full-color images of each menu screen. You'll learn how to adjust white balance, autofocus, and exposure as well as choose lens and adjust settings. The handy trim size allows this guide to go where you go, allowing you easy access to information quickly so you can get the exact shot you want when you want it. Go beyond the basic manual and the standard settings and see what your Camera N1 can do with Camera N1 Digital Field Guide!